For a destination wedding, or any adventurous event, this Let the Adventure Begin Airplane Bottle Stopper is just the gift to really make an impression with your guests! 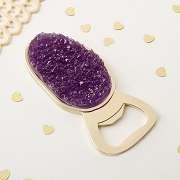 Featuring an antique gold finished airplane resting on top, this bottle opener is a truly unique party favor that will remind your guests how much fun adventure can bring. 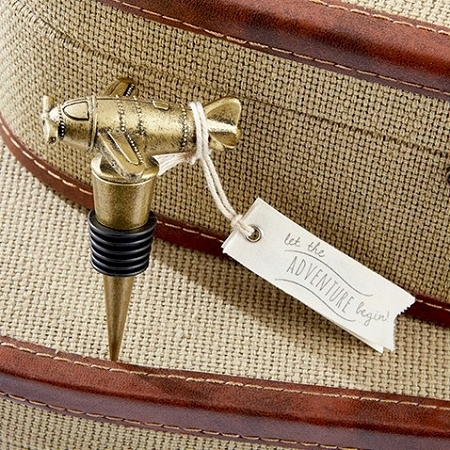 Metal airplane wine bottle stopper with an antique gold finish and decorative tag.